In Oregon, the Department of Transportation (DOT) Driver and Motor Vehicle Services Division (DMV) issues instruction permits/learner's permits to new drivers. You are required to follow certain driving restrictions and hold your learner's permit for a period of time before being eligible to apply for a driver's license. This page provides information on how to apply for your instruction permit and the next steps you need to take to get your full driver's license. If you're new to Oregon and you have a learner's permit from your previous state, you must get an Oregon permit when you become a resident, even if your out-of-state license or permit has not expired. You will need to surrender your out-of-state learner's permit to the Oregon DMV when you apply. For more information on how to apply for an Oregon learner's permit, see “Oregon Learner's Permit Requirements" below. In order to get your Oregon learner's permit, you must be at least 15 years old. Your parent or legal guardian must sign the application if you're under 18 years old (unless you are married or emancipated). School enrollment, completion or, exemption (e.g. statement of enrollment, proof of high school graduation). Full legal name (e.g. marriage certificate, military ID card). Legal presence in the U.S., identity, and date of birth (e.g. U.S. birth certificate, U.S. consular report of birth abroad). Social Security number (e.g. Social Security card, document issued by the SSA). Oregon residency (e.g. bank statement, utility bill). Payment for the $23 learner's permit fee and $5 written permit test fee. For more information about required documents, please refer to the Oregon Driver Manual. You will also need to pass a written knowledge exam and vision test. In order to get your Oregon learner's permit, you must pass the Class C knowledge exam. The exam contains questions about road signs, traffic laws, and other important information you need to know about driving in Oregon. The test consists of 35 questions, and you need to answer 28 questions correctly to pass. There is a $5 fee for the exam. If you fail the written exam, you have to wait at least 1 day before you can retake it. If you fail the test 4 times or more, you have to wait at least 28 days before retesting. 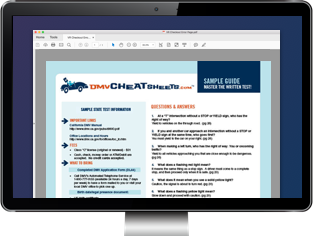 The Oregon DMV provides a basic practice test, but if your want to ace your written exam on your first try, you should prepare for it with an online practice test. These study helpers have been state-approved. Once you have your instruction permit, you're allowed to practice driving as long as a licensed driver who is at least 21 years old accompanies you. Your supervising driving must be seated beside you. 50 hours of supervised driving AND an approved Driver's Ed course. 100 hours of supervised driving. For more information, please refer to our Driver’s Ed in Oregon page. Once you have completed your behind-the-wheel driving requirements, you can move on from your learner's permit and apply for your provisional OR driver's license. To be eligible, you must have held your instruction permit for at least 6 months. You will also need to pass a safe driving practices knowledge test AND a driving test. For more information, see our Applying for a New License (Teen Drivers) in Oregon page.